It’s no secret that “blame the black man” is a time honored tradition in America. And since there is still so much fear and suspicion that lingers when it comes to black men, it’s proven quite effective, even today, when you want to pin a crime on someone. 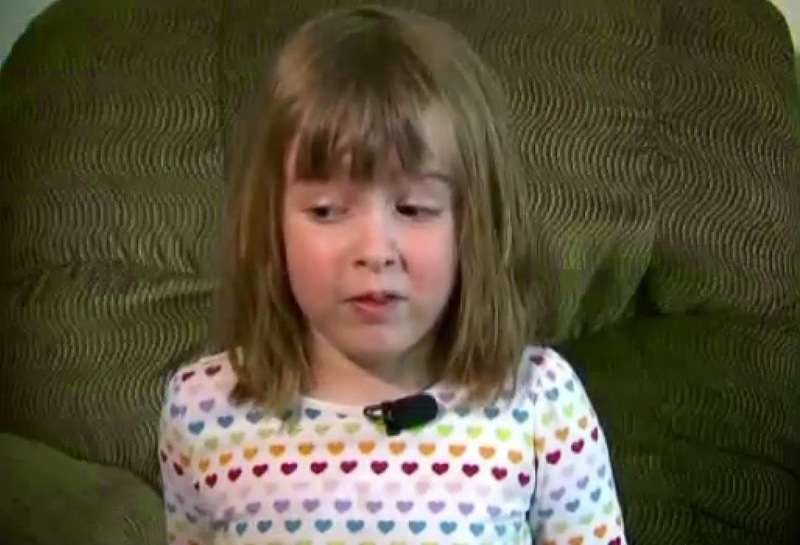 But luckily, four year old Abby Dean of Whatcom County, Washington was there to save the day with her heroic honesty. As a child, it can be hard to speak truth to authority figures, hell even as an adult. But when Abby’s 17 year old babysitter claimed that her employer’s home had been burglarized by two black men, it was Abby who stepped forward to set the record straight. They stole a number of the employer’s belongings and Abby recalled that they nabbed her kitty bank, iPod, Xbox and Wii. When questioned by authorities the babysitter told police that one of the thieves looked like the next door neighbor, a black man. Cody Oaks, Dean’s neighbor, was handcuffed and questioned by police for hours until Abby chimed in to tell authorities the truth. She said,“It wasn’t the right skin color.” She said that the robbers were white and not black. Once Abby spoke up the babysitter’s edifice of lies started to topple and she confessed to the crime, admitting that it was her 16 year old boyfriend and another accomplice who had actually robbed the house. Abby’s mother said she’s very proud of her daughter, noting that within 30 seconds her admission changed the questioning scene which had been going on for five to six hours. Oaks, the neighbor, says what he finds troubling is the fact that the babysitter doesn’t realize the type of danger she could have potentially caused for him and his family and he hopes she learns from this situation. The babysitter and her two accomplices were arrested and may face robbery, burglary and perjury charges. Take a look at this video of Abby explaining the ordeal to the news crew. Listening to her speak, it’s clear that the babysitter didn’t understand what type of child she was dealing with. This little girl is too sharp for the shenanigans and potentially life altering, bold-faced lies.